Senator Mazie K. Hirono was on Maui this week to convene a Senate Small Business and Entrepreneurship Committee field hearing. 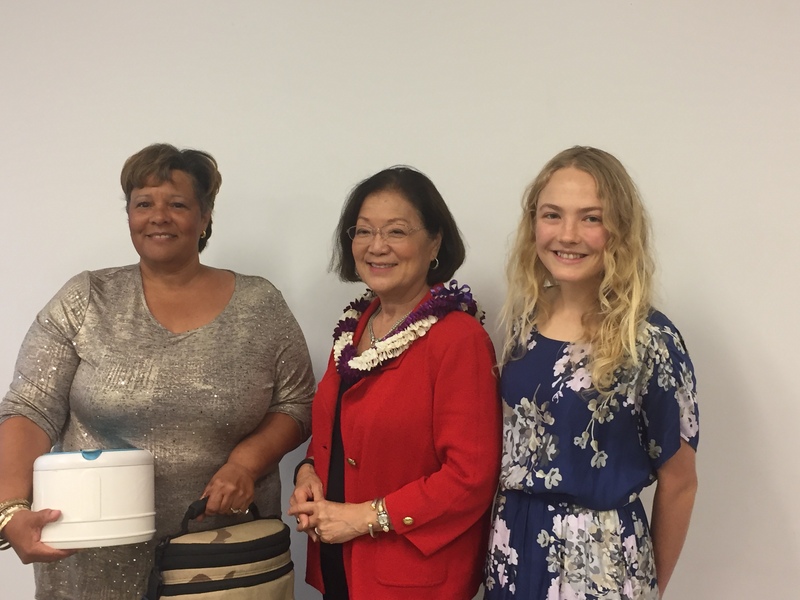 During her visit to MEDB she listened to the winning pitches of Pamela Norris, winner of the SBA’s InnovateHER Challenge with her “ICEBUDDY System”, and Zoe Whitney, who was runner-up in MEDB’s StartUp Weekend with her “Maui Buzz Kill” mosquito repellant. InnovateHER and StartUp Weekend are both High Tech Maui initiatives to promote business development on Maui. This entry was posted in Business Development, News and tagged entrepreneurs, innovateHER, Senator Mazie Hirono, Small business owners, startup weekend. Bookmark the permalink.